Welcome to 1 Stop Sports's online store. Use the category links on the sidebar to start shopping. Look the Best, Be the Best! Get on top of your game with referee uniforms and sports apparel from 1 Stop Sports, based in Birmingham, Alabama. Shopping online with us makes it easier than ever to gear up for the season, thanks to our wide selection and unbeatable customer service. Contact us today at (205) 943-0119 to learn more about what's in stock. When it comes to sports apparel and accessories, it pays to shop with a business that puts you first. 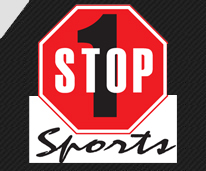 At 1 Stop Sports, we stock the items that you're looking for at prices you can afford. From shirts and shorts to whistles and shoe polish, we're here to get you suited up and ready to win. 1 Stop Sports offers custom screen-printing, perfect for promotional items, signs, banners, and team sports apparel. We are also able to custom brand your team or organization with a logo and style that's uniquely yours. Give your team a winning edge by decking them out in custom sports uniforms. We do custom orders on shoes, as well as customized screen-printing that gets your message across loud and clear. Please feel free to contact us if you have questions about our products, or if you are looking for something specific. Call us today at (205) 943-0119 or email us at 1stopsportsjoe@gmail.com.